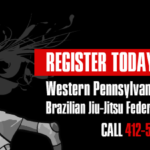 CV is an abbreviation for its co-founders last names, Pittsburgh Martial Arts pioneers William Viola of Irwin, Pennsylvania and Frank Caliguri of Arnold, Pennsylvania. 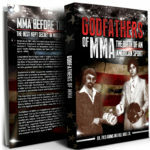 The experienced promoters set out to address the hypothetical question, “Who would win between Muhammad Ali (boxer), Bruce Lee (martial artist) or Bruno Sammartino (wrestler)?” Viola and Caliguri spent much of 1979 developing the foundation for a series of mixed martial arts style competitions. They concentrated on an untapped market by providing a true platform to settle the dispute of which style of fighting was superior. The events were advertised as “Anything Goes,” and legalized striking, throwing, grappling, punching, kicking, ground fighting, submissions and more.” Fighters from all disciplines were eager to compete and earn bragging rights. “Every town or neighborhood has a legendary fighter or toughguy, we set out to prove these claims,” Bill Viola. The first Toughguy championship would take place March 20, 1980 in New Kensington, PA. The company organized a league of events and promoted over 10 competitions across Pennsylvania under the banner of “Battle of the Brawlers,” “Battle of the Tough Guys,” “Tough Guy Contests” and “Battle of the Superfighters” throughout 1980. Notable locations included the Stanley Theater in Pittsburgh, Johnstown War Memorial, and the Philadelphia Civic Center.